Pitted sour cherries in syrup. 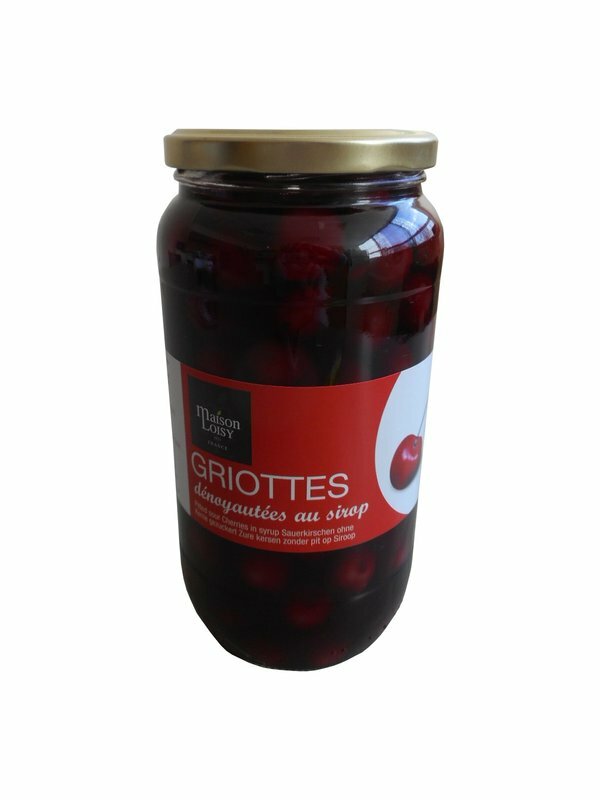 Sour cherries; Water; Sugar and Glucose-Fructose syrup; Acidity regulator (citric acid); Firming agent. and also in some salty dishes.